Ever since Agon Systems became involved with the Concept Tag it became clear that we had something on our hands that drastically outshines every other type of garment security tag on the market. …or perhaps even beaten it entirely! But no – it still performs time after time. However, with Agon Systems now working with a number of major UK high-street names – including JD Sports, River Island, and Matalan – more would-be thieves are coming into contact with the Concept Tag’s revolutionary design. It’s therefore no surprise that online ‘chatter’ about it has recently increased. The biggest online platform for shoplifters to discuss tips and tactics (yes, such a place exists!) is found on Reddit, on the r/shoplifting page. Here thieves brag, show off what they’ve stolen, and ask for advice. It’s an interesting corner of the internet indeed…and wouldn’t you know it – we’ve found a few mentions of the Concept Tag! We always like to keep a keen eye on what the shoplifters are saying online about the Concept Tag – if nothing else, it gives us some good insight into where we might need to improve in the future. This was the title of the first thread that caught our eye – one that was posted in January 2018. And, after reading it, we were happy to discover that the answer to this question is a resounding NO. The person asking follows up their initial query by stating that they’ve noticed that the tag is now commonplace in both JD Sports and River Island stores (two bits of business we’re very, very proud of indeed). We actually first saw this trend in data shared with us by JD Sports. Before their UK-wide roll-out, they had some stores fitted with the Concept Tag, but other locations nearby that were without. After some time had passed, they noticed that theft had drastically reduced in the Concept-Tagged store and increased in the non-Concept Tagged store. Simply put – if you get the Concept Tag installed, the thieves move elsewhere! Part of the reason the Concept Tag is so difficult to remove is the design and technology that goes into not just the tag, but the releaser. Garment security tags have, by and large, been the same for decades. This is also true for the releasers, meaning that over time they’ve been overwhelmingly beaten by savvy shoplifters, who can generally remove them with little problems. The Concept Tag? You can only remove it with a Concept Releaser. Using the technology from other fashion retail stores simply won’t work! The ‘Concept Releasers’ are individually hand-made at an advanced facility in Denmark to ensure quality, and are the only releasers that open the Concept Tag. And, for an added layer of security, all of our Concept Releasers are marked with serial numbers, meaning we know the location of all of them at all times. 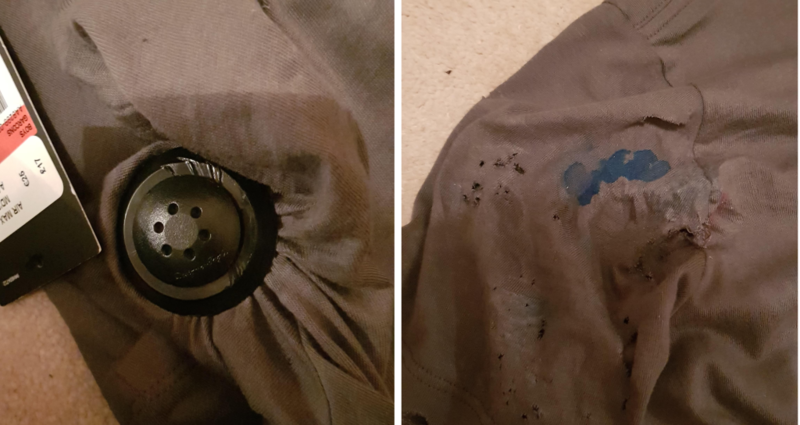 Moving onto another couple of posts from r/shoplifting, we see the progress one thief made after getting a Concept-Tagged item garment out of a JD Sports store using a foil-lined coat. This is actually the same user account that replied to our first example. Long story short – he didn’t have a clue how to get it off! The poster announced he was going to freeze it and then hammer it – a common tactic that attempts to freeze the ink inside security tags and stop them going off when someone tampers with it. However, as can be seen from the before-and-after images below…it didn’t go well. It’s almost impossible to replicate the way in which the security tag is removed; trying to force the tag off would require more than 50kg of pressure. It’s simply not possible to put this amount of pressure through an implement such as a screwdriver whilst holding a tag. Such attempts result in damage to the garment or potential injury to the thief. This is something we’ve been aware of for quite a while – and occasionally is referenced when talking to potential clients! However – it’s quite apparent that this device isn’t capable of removing Concept Tags. People on this forum say it, and people on the accompanying videos on YouTube daft enough to send money to a dodgy-looking website run by Russian criminals respond that, funnily enough, it simply doesn’t work. The video does indeed show a Concept Tag being opened – a ‘version one’ Concept Tag, used in our initial trials a few years ago. We’re now many more versions down the line, with security now better by an order of magnitude. In fact, this video helped us identify the problem and fix it! As we said above, there’s some great insight that can be gained by investigating what the shoplifters are saying about our products. Can your store afford to be without the Concept Tag? It’s award-winning. It’s proven to reduce shoplifting by between 50-75%. It’s used by some of the biggest names in fashion retail. 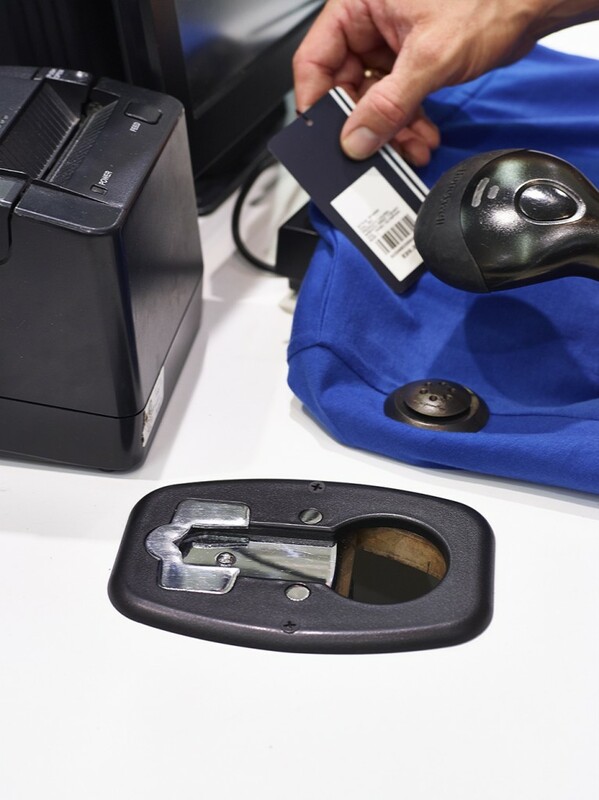 The Concept Tag is a revolutionary loss prevention device, consistently showing fantastic results, saving companies money, and improving safety and security for shoppers and shop floor workers alike. And, from the evidence above, it’s also bamboozling the shoplifters! It’s because of all of these reasons – and more – that we’ve sent over 15 million Concept Tags to over 20 countries. …and why we offer a 12-month guarantee that you’ll get a return on your investment – or we will give you your money back! Visit www.concepttag.com to use our online calculator and find how much you could be saving.